A documentary about a solo rite of passage experience created for 7 adolescent boys in New York State. 139 backers pledged $8,589 to help bring this project to life. Remember that chaotic time as a 14 year old when the adults in your life took you aside and acknowledged that you were ready for greater responsibility and challenges? Me neither. This is a documentary about the inner workings of a boys rite of passage ceremony created for seven adolescent boys who were each taken to an isolated spot on a mountainside in the Catskill Mountains in New York State and asked to tend a fire for 24 hours. By themselves. This documentary isn't about the individual boys or about watching their cathartic times on the mountain -- their experience is rightfully theirs alone. Instead, the camera stays at the base of the mountain and documents these experiences as reflected in the unique circle of "uncles" and "big brothers" who visited and supported them during this event -- most have had similar solo experiences as adolescents. This documentary looks at the usefulness of extended family, of transition times of life and of the creation of culture. It explores parents' unique roll in this ceremony, how they resist and embrace this change in their sons -- and their own informal rites of passage which were in many ways accidents they were lucky to survive. So far, the shooting, interviewing, transcribing, writing and editing of this movie have all been the effort of one person -- but now a little help is appreciated. Attention from a sound mixer and a color corrector would benefit the movie a great deal. It needs to be converted to HDCam format if it is to be screened at festivals. The Tending Fires website would offer digital downloads and be a place to buy DVDs -- which have to be designed, produced and mastered with DVD extras. The music in the trailer was composed by Mark Snow -- who is a genius -- and this documentary would be lucky to have more music from him. $8000 is the amount needed to realize a minimum level of quality for this project. (Remember, roughly 10% goes to Kickstarter and the Amazon payment system.) If I raise more than my goal I would make a concerted effort to enter and participate in film festivals as well as pay back the people who have supported me during this time. Funding on Kickstarter is all or nothing. If I don't reach the goal, you won't be charged anything. Thank you for looking at this page. Please send the link tendingfires.org on to people you know who are interested in this project or would want to learn more. Thank you! FIVE BOXES OF MATCHES: Put your bowdrill away, friend. 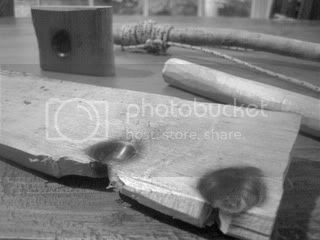 No more will you have to endure the squeaking, the rope burns, the constant whittling of the spindle, the heartbreak of your hard-earned coal going out. No sir, a miracle happens with these magic sticks. And that miracle is: they make fire! 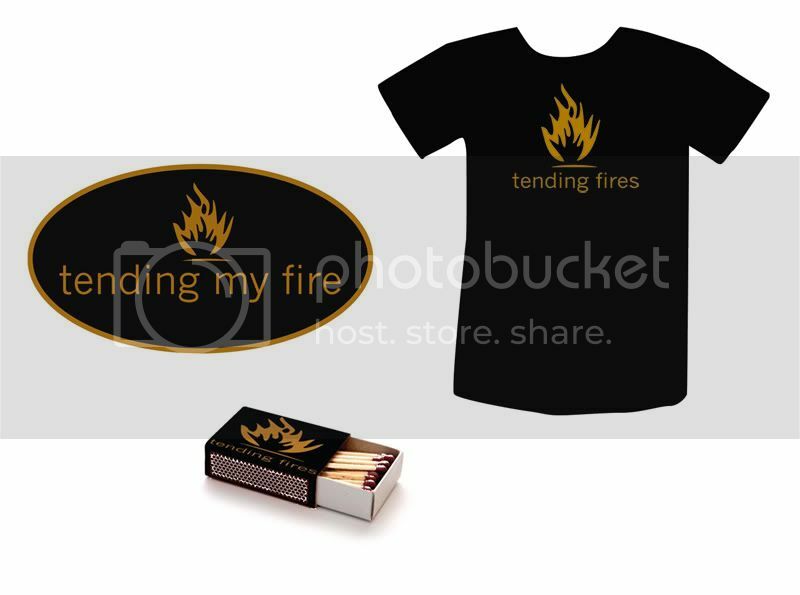 DVD of "Tending Fires" + Sticker + Matches: Own the actual movie "Tending Fires" in its completed form for watching in the comfort of your own home -- including DVD extras! Thank you! T-SHIRT + DVD + Sticker + Matches: From the board room to the mosh pit, this stylish and versatile garment from the extremely cool local designers at treeo design will probably get you kicked out of the board room for not dressing appropriately, but at least you'll be supporting a worthwhile documentary. Let's see some other shirt do that! YOUR NAME IN THE END CREDITS + DVD + 2 T-shirts + Stickers + Matches: Your name acknowledged in the end credits of the movie. And why not? If you're someone who supports the ideas of wilderness immersion or intentional communities or even independent film making, you deserve credit in my book. Thank you! BOWDRILL KIT + 2 DVDs + 4 T-shirts + Stickers + Matches: No more will you have to endure the exhausting chore of searching your pockets for that damp and unreliable pack of matches. No sir, not with this actual bowdrill kit made specifically for you by the director of "Tending Fires" -- from authentic Hudson Valley forest materials. You'll never be without fire again. Includes handhold, spindle, fire-board, bow and a closer relationship with the elements. Pre-tested.